The 9 Best Flea Markets in Washington (State) 5 out of 5 based on 1 ratings. 1 user reviews. Washington boasts some of the most exciting antiquing destinations in the Pacific Northwest. The state’s antique-friendly cities and towns specialize in pottery, jewelry, art, history, furniture and more vintage goods that will entice savvy shoppers. “The Evergreen State” is also home to some of the most inspiring state wildlife sanctuaries and national parks in the nation. And those who love the great outdoors will be thrilled with the vintage finds that celebrate nature, including vintage gardening and fishing items, nature-themed posters and art, and collectibles from the state’s early history. 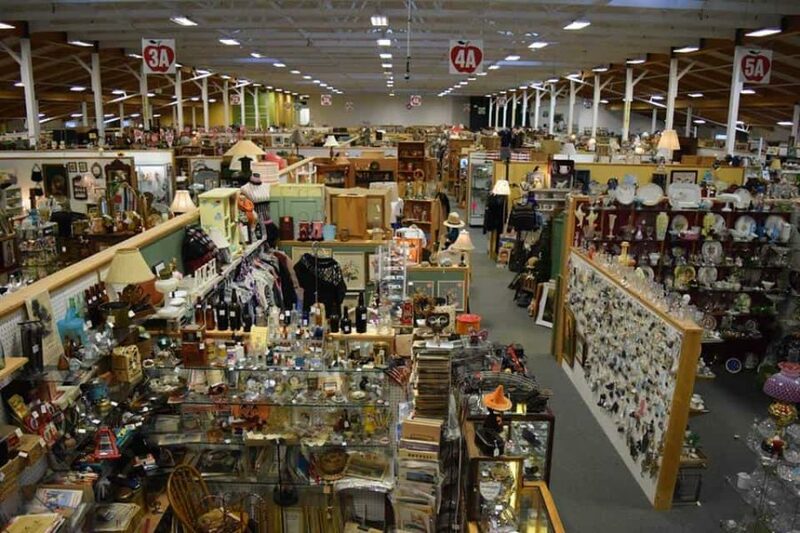 From the massive 70,000 square feet antique mall in Cashmere to the many delights of the “antique capital of the Northwest” in Snohomish, Washington’s small town antique dealers have something for everyone. Whether you are in the market for a specific item or just love the thrill of the hunt, Washington boasts an incredibly diverse array of stores and flea markets for your shopping pleasure. As a handy guide, here’s a list of the best flea markets in Washington. Each picked for its quality of items, with 70% or more of the merchandise authentic vintage or antique. 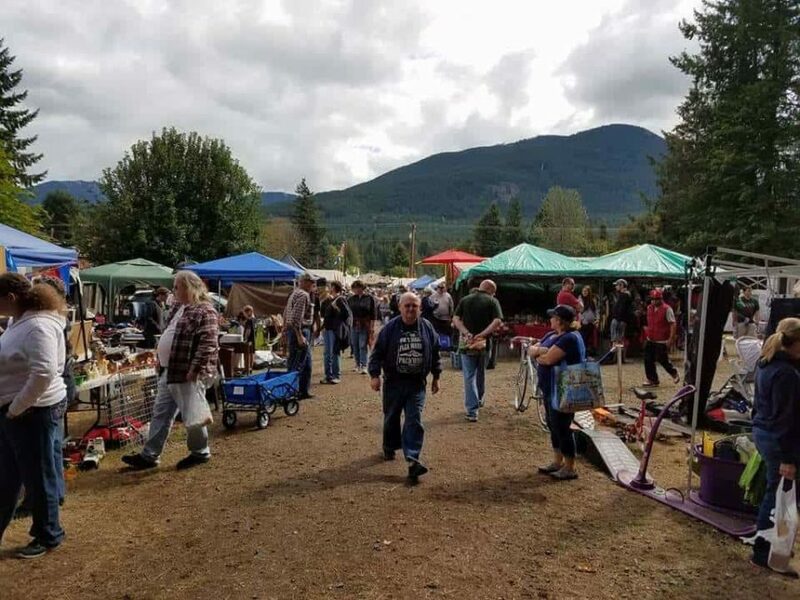 Found in the small unincorporated area known as Packwood, the Packwood Flea Market is more than one of the best flea markets in Washington, it’s a destination. 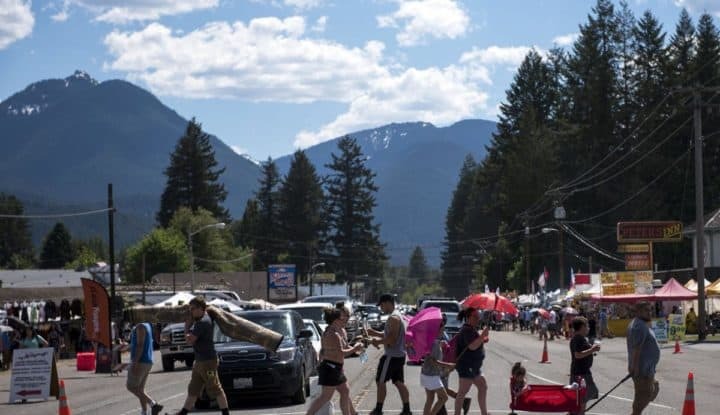 Packwood boasts a population of less than 2,000 people but on market days, the area is booming. Packwood Flea Market is in a beautiful and picturesque setting between two mountains. The market is organized by the local residents and they ready everything for the big event, with homeowners and property managers renting out space for various vendors. Held twice a year, the show can attract up to 20,000 attendees. Antique fans, vintage enthusiasts, and collectors won’t be disappointed with the selections of more than 600 vendors. You’ll find vinyl, clothing, American, silverware, fishing gear, vintage jewelry, furniture, books, and an assortment of everything else you could imagine. Go early, because serious buyers actually camp out to get the best stuff. One of the most popular and longest-running flea markets in Seattle is the Fremont Sunday Market. The market was founded in 1990 by Jon and Candace Hegeman after the couple was inspired by the markets they visited on their travels. Fremont is held year-round and offers an European-style street market experience packed with all kinds of curiosities, art, food and more. Up to 200 merchants are often on hand to sell vintage, retro, antiques, collectibles, estate sale finds, and world imports. Merchandise available for sale often includes items like vintage paper collectibles, movie posters, luggage, and clothing, and other things of interest. Surrounded by delightful shops, eateries, and cafes, it’s a great way to spend a Sunday in Seattle. The creation of writer and antique lover, Serena Thompson, Farm Chicks Show began as a humble show in a barn in 2002. Since then, Farm Chicks Show has grown significantly and has made the bucket list of many antiquers as they visit some of the best flea markets in Washington. More than 300 sellers appear at the show at the Spokane County Fairgrounds each June. The event’s vendors are all hand selected by Thompson. This careful curation of the show results in only quality vendors and hundreds of antiques, vintage items, and handmade treasures. No Chinese or knockoff junk can be found here. Admission is $8 per day or $10 for the weekend pass. Come early if you want to be one of the first in the door but don’t be surprised if you have to wait. Trust us, it’s worth it. 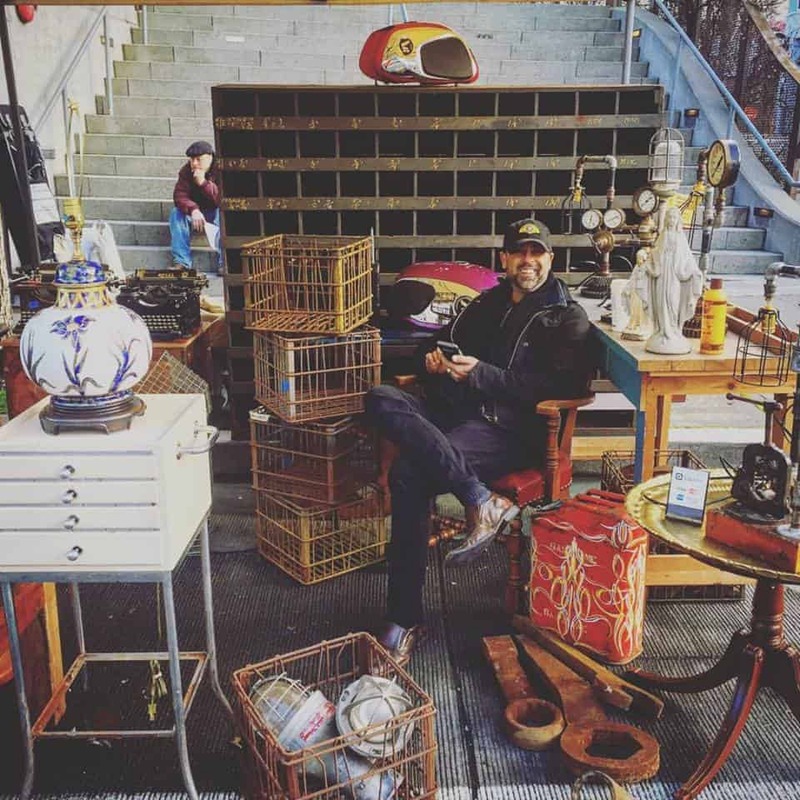 A world of treasures awaits you in Seattle Antiques Market, and we bet you’ll agree that it should definitely be a pick for best flea market in Washington. The sprawling 6,000-square-foot market is one of the largest shops in the state and is found in one of the busiest spots in the city, the Seattle waterfront. Just steps from the aquarium and Pike Street Market, the antique shop offers antiques, vintage items and collectibles for discerning collectors. Mid-century modern, vintage advertising, kitchenwares, clothing, nautical pieces, and much more are among the shop’s merchandise. The shop regularly updates its website to highlight some of the newest items. Aberdeen, Washington welcomes visitors with a sign stating “Come as You Are.” It’s a tribute to the town’s native son, Kurt Cobain. Situated on the banks of the Wishkah and right on Grays Harbor, scenic Aberdeen is one of the best cities for antiquing in the region and home to a pick for best flea market in Washington. Treasure Harbor Flea Market already has 7,000 square feet of flea market space for your shopping pleasure, with plans to extend to over 20,000 square feet in the future. The market goes indoors for the winter and then extends outside all summer long. Food trucks are on hand to make sure you are fueled up for extreme bargain hunting. 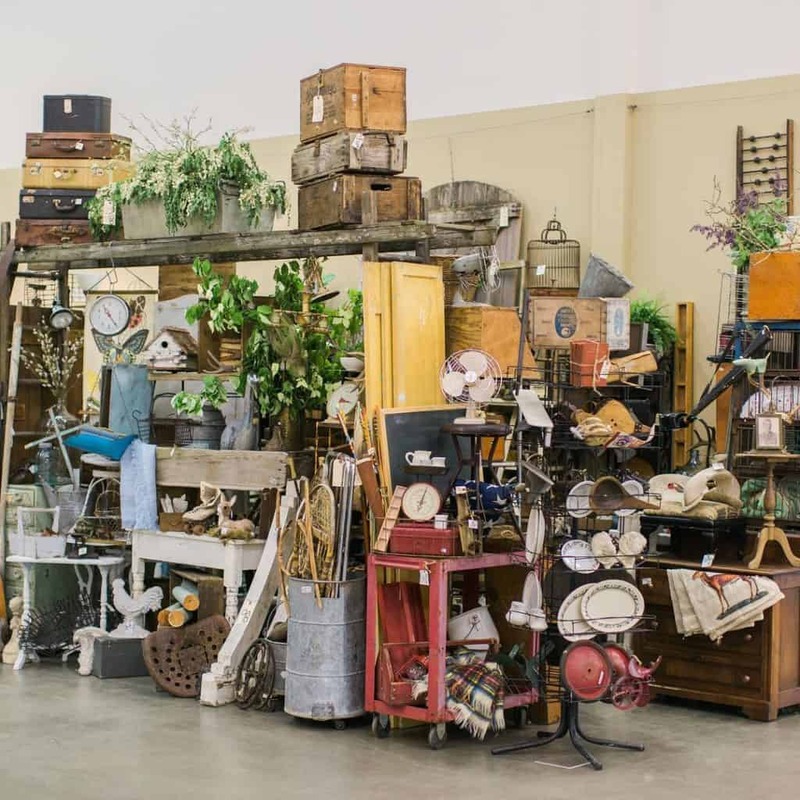 Whether you are in search of furniture, books, gardening tools, stoneware, or jewelry, you will find your treasures at Treasure Harbor Flea Market. If you are looking for a relaxed party vibe in an urban setting, then Seattle’s outdoor SODO Flea Market will fit the bill. 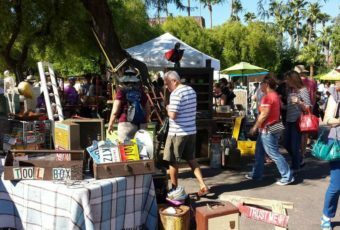 In addition to presenting a dazzling array of items for sale, the Market functions as a fun community of makers, sellers, collectors and families. Twice a month, SODO has a flea market with more than 50 vendors selling antiques, vintage clothing, and handmade goods. SODO was so successful that in 2019, it expanded to two markets per month, one on the second Saturday and one on the last Saturday. SODO started as a collaboration between the Fremont Vintage Mall and two vintage stores, Rejuvenation and Atlas Vintage. 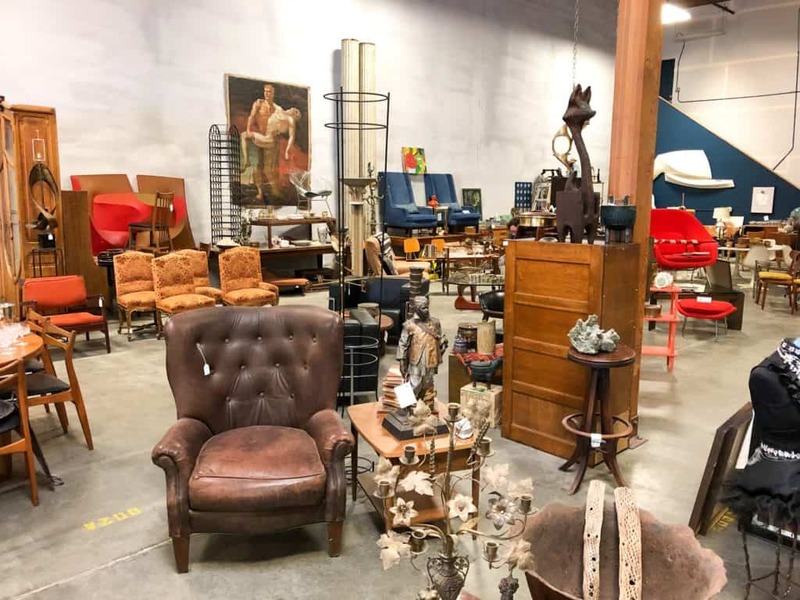 Now that SODO is located at Epic Antique, shoppers will be able to enjoy the many amazing offerings at Epic, an antique shop located in an old warehouse and known for its mid-century pieces. SODO is pet-friendly so bring a furry friend. Cashmere is one of the premier antiquing destinations in America and one of the best flea markets in Washington is Apple Annie Antique Gallery, which has also been named one of the top ten antique stores in America. Apple Annie has been around since 2006 and now more than 200 vendors call the Gallery their home. With more than 70,000 square feet of antiques and collectibles, visitors can make a day at one of the best flea markets in Washington. The Gallery has an excellent reputation for offering Depression-era glass, early American oak furniture and 19th and 20th century pottery and crockery. Apple Annie Antique Gallery also has an impressive 1950’s style diner, the 59er, where shoppers can relax and enjoy local food. Penny Lane Antique Mall is a one-of-a-kind antiquing experience located in the Old Town downtown district of Bellingham and one of the best flea markets in Washington. 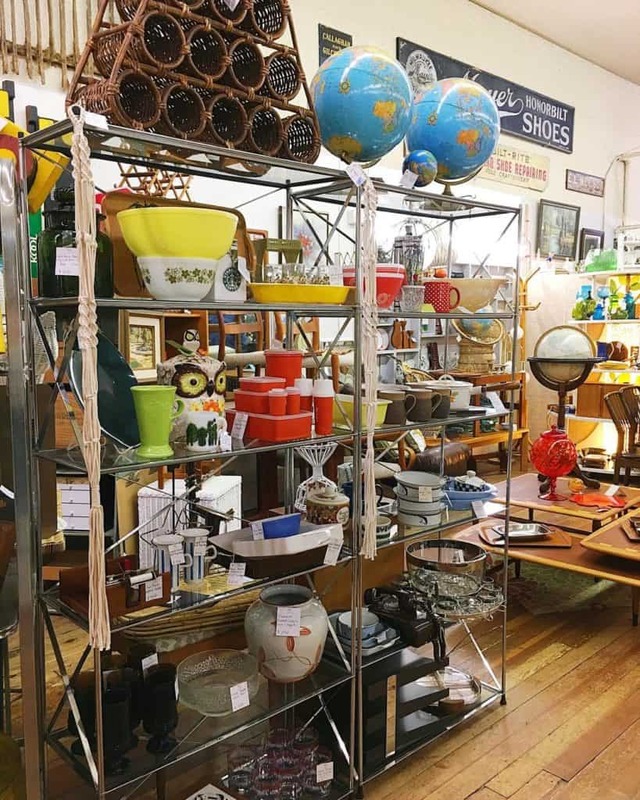 The 10,000 square feet store has been going strong since 1990 and features 40 antique dealers specializing in kitchen wares, books, furniture, ephemera, mid-century modern furniture collectibles, and much more. Located off the waterfront on Holly Street in this rapidly-growing Washington city, Penny Lane has a pleasing display of vinyl, posters, clothing and toys, plus everything else you can imagine. Shoppers love Penny Lane because new items arrive daily and the knowledgeable staff is always willing to help collectors track down coveted items. Love of Junk got its start back in the summer of 2013 on the Swenson Farm just outside beautiful Walla Walla. 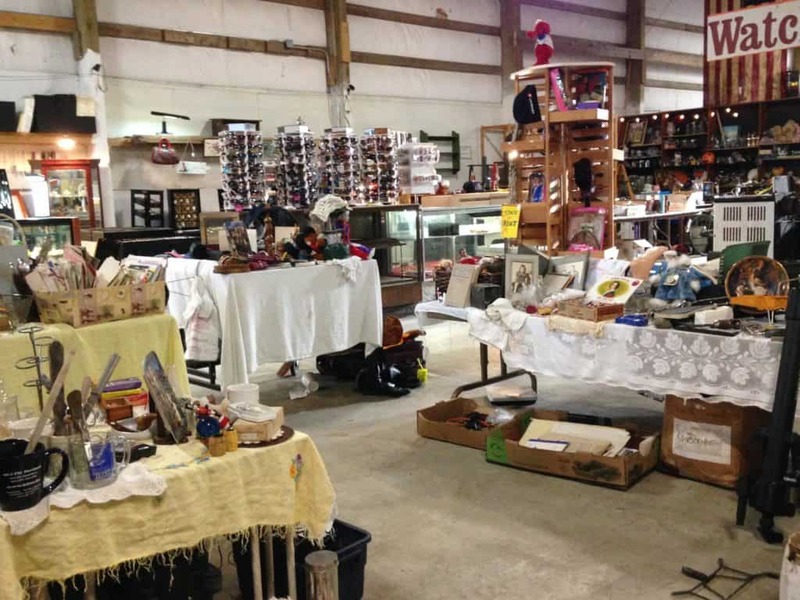 The flea market is the brainchild of Brenda and Doug Swenson, who were looking for a way to boost their farm income. They held a massive, one-weekend-only junk sale. The event caught on immediately and soon grew. By 2017, the Swensons’ event was named the fourth best flea market in Washington. 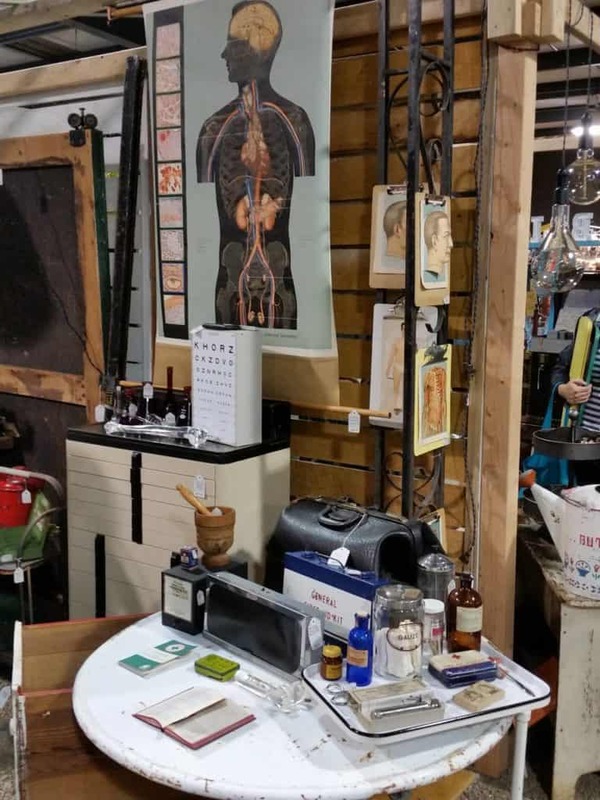 In addition to their own collection of amazing “junk,” there are multiple vendors, including those specializing in industrial and mid-century items. There is plenty of parking and green space, fine food vendors, and ample opportunities to relax under shade trees while listening to live music. Love of Junk’s Swenson Farm location also gives visitors a breathtaking view of the Blue Mountains, making this a one-of-a-kind event that is not to be missed. Children under 12 are free, admission is $4 for all other ages. 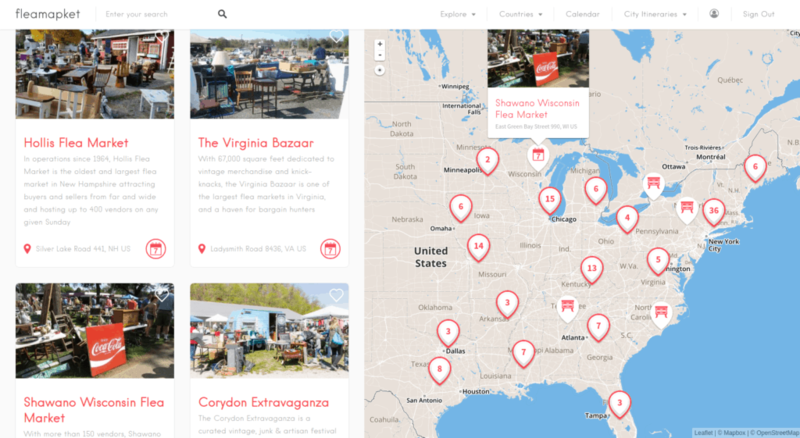 With our tool Fleamapket, you can view over 170 of the best flea markets in the USA on a map! 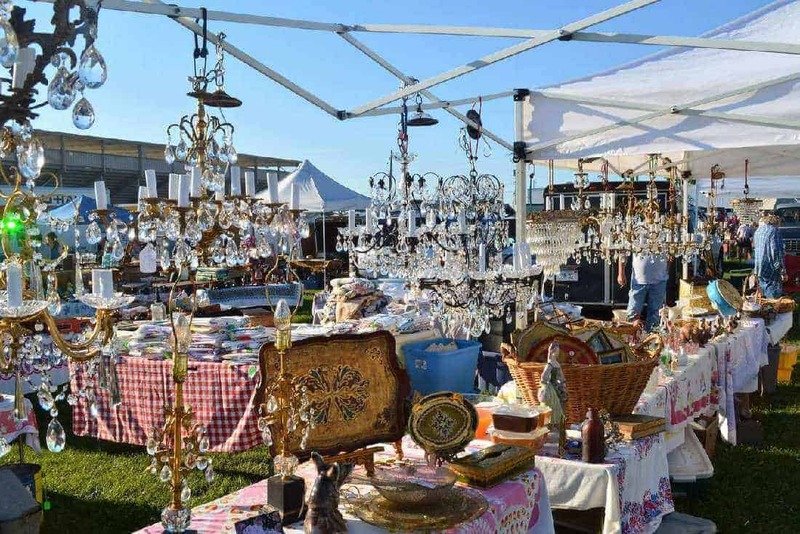 Not only did we include all the US flea markets that made it into our ranking of the Best Flea Markets in Washington State, but we also added some of America’s most acclaimed antique fairs to the mix. Click on the image below to access our map feature for free..